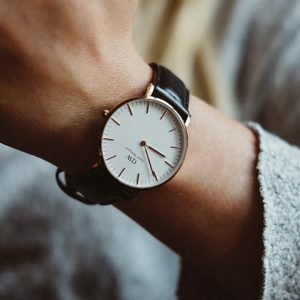 Every month I compile 25 interesting and unique items with gorgeous minimalist design. 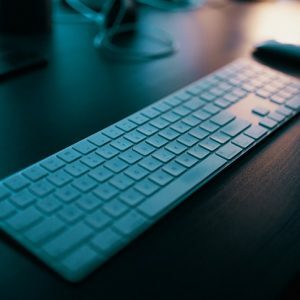 If you’re looking for something interesting to add to your home or even work space, this list has many cool minimalist things you might like. Also, if you want to stay updated on this list every month, do subscribe to our newsletter. Now, without wasting any more time, let’s start with the minimalist items list! 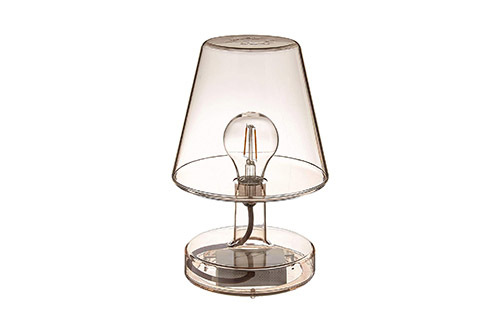 This beautiful minimalist lamp by Fatboy has a transparent body and lampshade. It is made of durable polyethylene material while the light is LED which can be dimmable. Great if you want to add a unique piece to your living space. 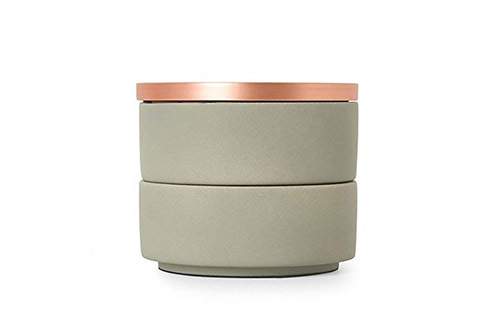 This desktop planter is made of solid concrete and has a beautiful sophisticated design. The base is designed to put pens, business cards or other small items. 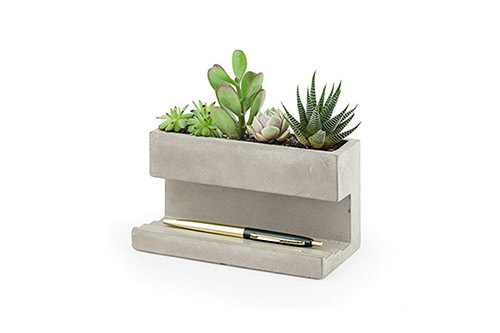 The nice concrete look and the simple plants (not included) can make it a great addition to your office desk. 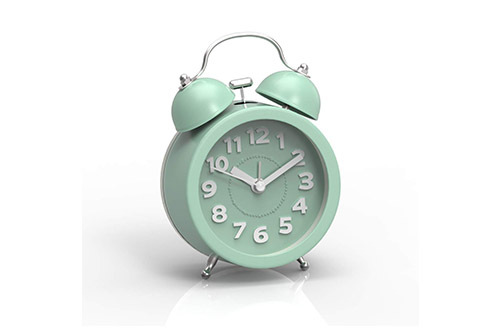 This beautiful minimalistic alarm clock by PiLife can be a great addition to your bedroom. The nice clean soft green finish gives it a nice cozy vibe. Also, the classic design adds an interesting character to the clock. This is another gorgeously designed minimalist clock. 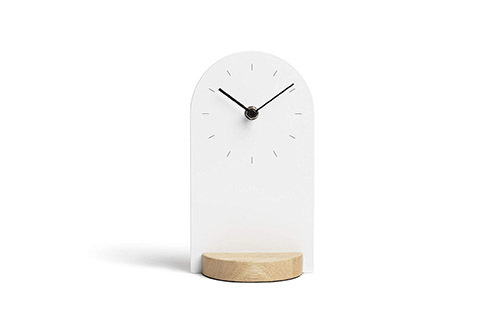 It has a white semi-round clock face that extends to the base. The clock has a round wooden base that’s visible in the front and back. I also love the numberless clock dial, it adds to the simplistic nature of the clock. This glass water bottle by Soma has a handsome and elegant design. It has a wooden cap, glass body, and a silicone sleeve cover. 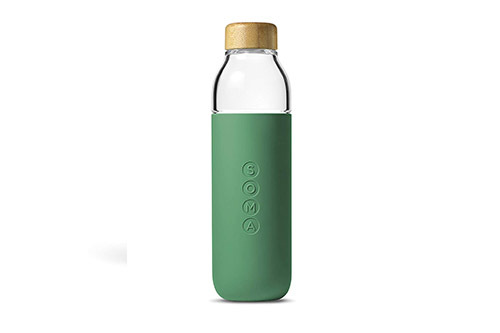 The wooden cap is made of bamboo wood, while the glass is made of 100% BPA-free borosilicate glass. This jewelry box has a unique simplistic design. It has a metal lid and a two-tired box as the body. You can separate the boxes, stack them or put them side by side. It is a gorgeous piece to put your rings, broaches or any other accessories. This is another interesting minimalist piece I found. 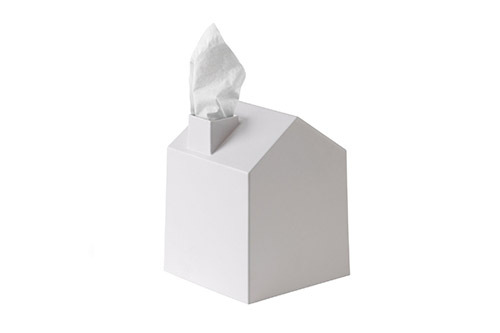 If you’re bored of your regular tissue box, this can be the solution. The creatively designed house shape can make it a great conversation piece. It can add a creative vibe to your minimalist space. 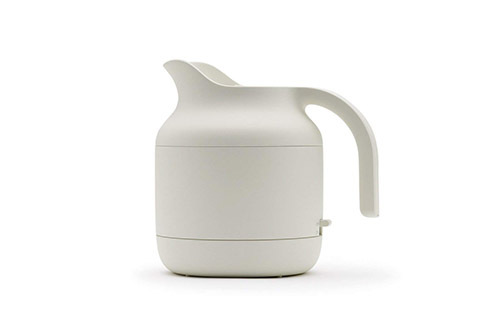 Muji makes a lot of beautifully designed minimalist items. This electric kettle by them has a smooth and beautiful silhouette. 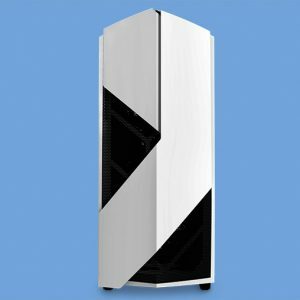 The white matte finish also gives it a sophisticated minimalist look. If you’re looking to replace your current electric kettle, this one can be a great choice. 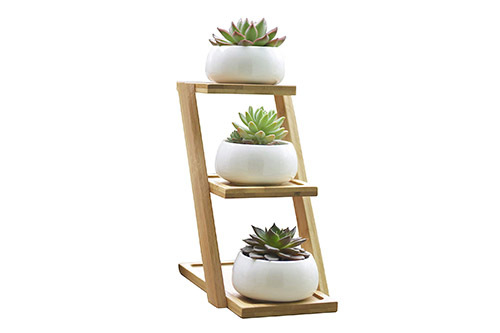 This plant pot by Jusalpha has a ladder-style design. The stands are made of bamboo wood with a draining hole for each. 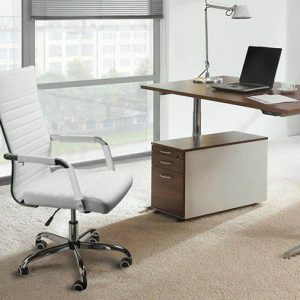 The overall simplistic design with the wooden stands can add a nice natural vibe to your office desk or bedroom table. The plants are not included. 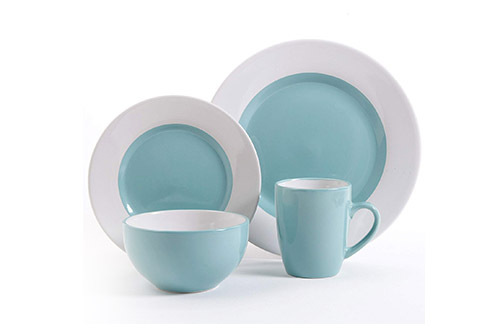 This dinnerware set has a beautiful minimalist and modern design. The simplistic silhouettes of the items and soft blue and white combination gives it a cozy feel. 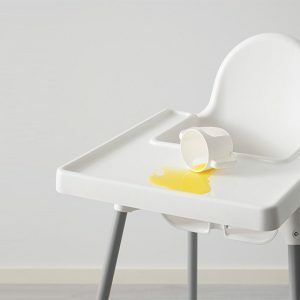 Perfect for most minimalist dining spaces. Marc Jacobs is very well known to make beautiful fashionable items. 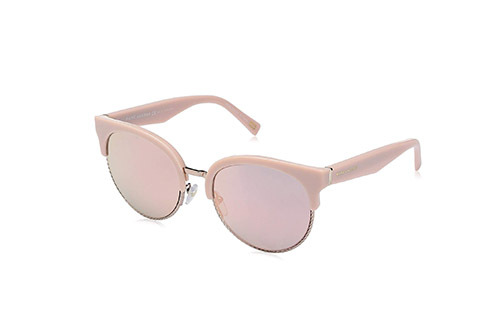 This sunglasses really caught my eye. I love the nice soft matte pink frame and glass tint. The whole piece meshes together really well which gives it that sophisticated minimalistic fashionable look. I just love this vase from Torre & Tangus. 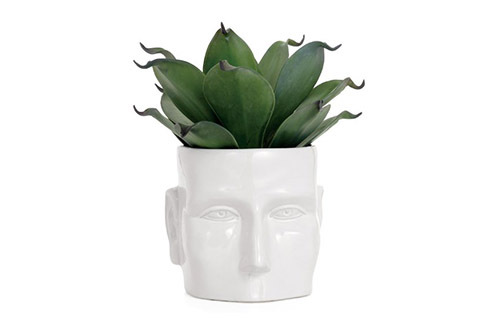 The body of the vase has a face shape which creates an interesting look. The plant on top resembles the hair which I think is such a creative design. Great if you want to add a unique piece to your table. 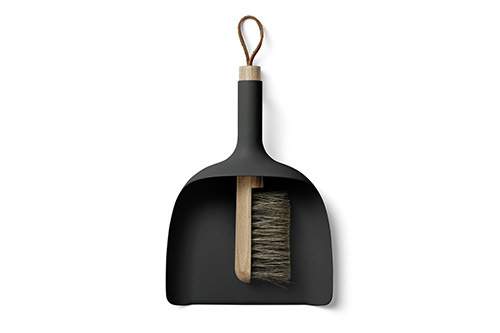 When you think of a sweeper and funnel you’d probably do not think of nice design. I love the matte black finish of the funnel, it gives a nice alluring look. The handle of the funnel and sweeper is made of wood which gives it a nice natural accent. If you’re looking for a minimalist and modern silverware set this can be a great option. The nice black finish adds a gorgeous sophistication. It comes with sets of dinner Fork, salad Fork, dinner knife, dinner Spoon, and teaspoon. 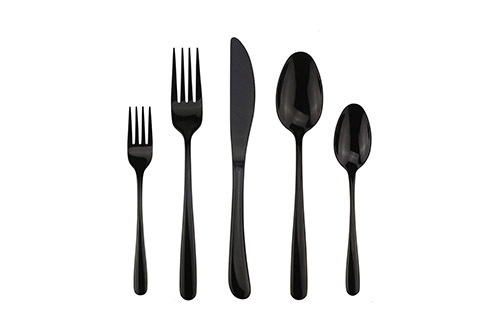 The silverware set is made of durable stainless steel. This is a fun addition to the list. 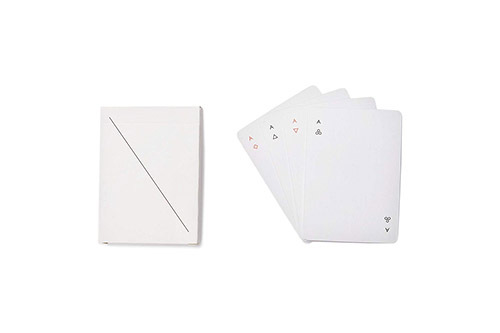 The Minim Playing Cards by Areaware can be an interesting piece for parties with friends or family. The minimalist graphics makes it a very unique deck of cards and can definitely be a conversation piece. 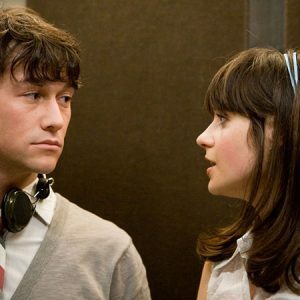 You can also find a version in minimalist black. Ukuleles can be a nice addition to any homes. It can be a decorative piece or a fun piece you can play with for gatherings or even alone times. 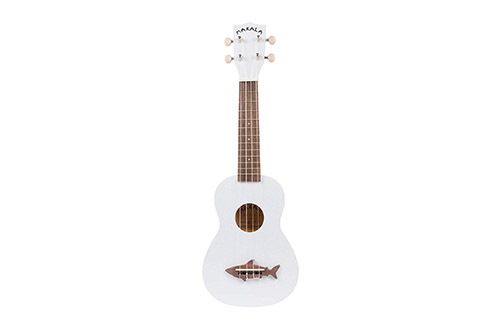 This ukulele has a beautiful simplistic white design, with a wooden fret board and a an adorable shark outline. 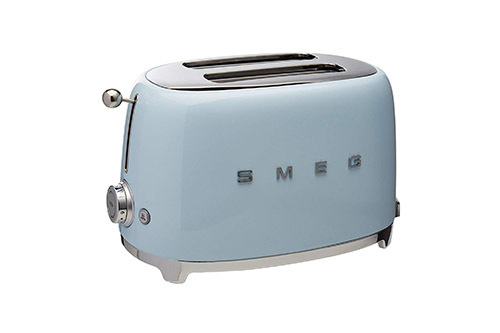 This mid-century-esque toaster has a gorgeous shape and color. 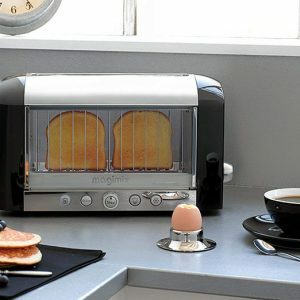 Definitely much more interesting than a regular rectangular toaster. It has 2 slots for bread, a round metal ball for the lever and a beautiful retro dial for settings. 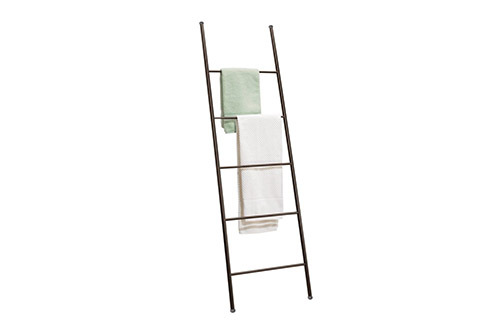 A ladder-style bath towel bar can be a great addition to a bathroom. It saves space and also look really minimal. This bath towel bar comes in two colors; black and bronze. 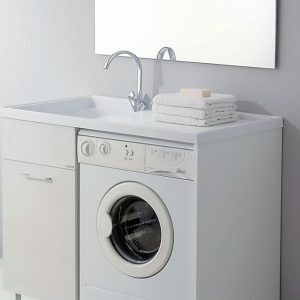 You can hang 5 bath towels on this. It is made of steel and has a rustproof finish. Vinyls are making a comeback in recent times. 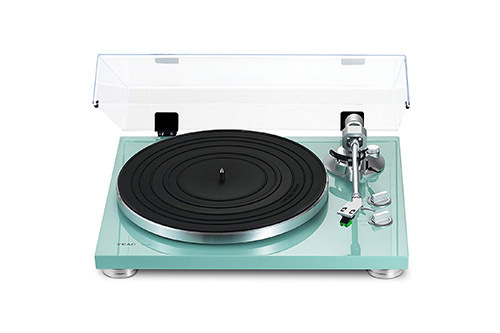 This beautifully designed analog turntable can be a great art piece for your space while can also be a great music player if you love analog records. It has a nice turquoise finish which gives it a soft cozy vibe. It has a USB digital output which you can connect to your digital speakers. 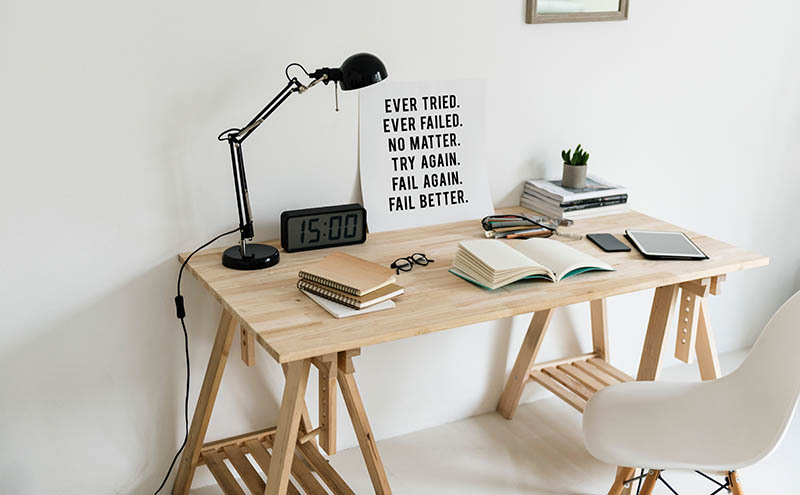 This can be a gorgeous piece to add to your work desk. If you’re looking for a way to tame wild paperclips on your table, this can be a perfect and beautiful solution. 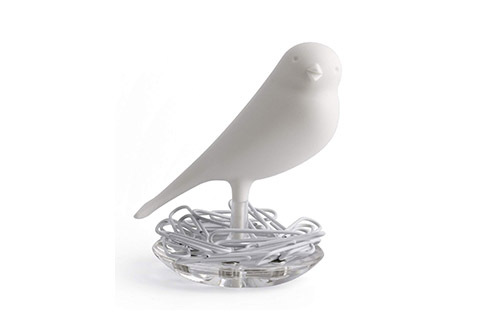 Give the bird a name, and it can be your adorable office companion. I’ve talked about in one of my previous posts, that removing generic from-the-store storage containers with a minimalist design one can make your kitchen space more tidy and minimalistic. 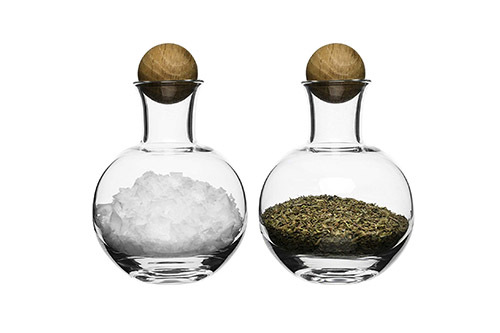 This storage bottles by Sagaform has a beautiful and elegant silhouette. The bottles have gorgeous round oak stoppers and an alluring glass body. 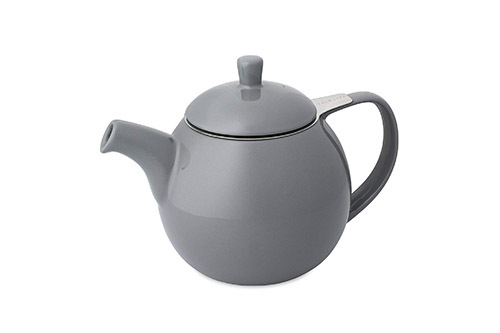 This teapot has a beautiful soft curved shape with a nice soft gray finish. It is made of lead-free material. The overall design is minimalist and sleek, great for your tea time with friends or family. 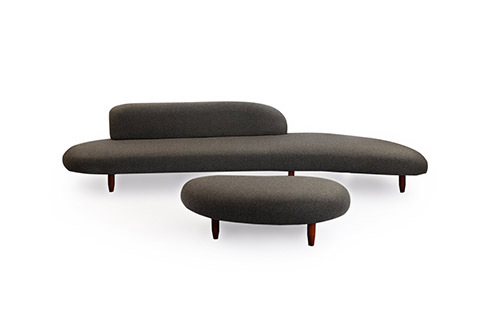 This piece of furniture by Kardiel has an interesting and unique minimalist kidney or bean design. It looks really interesting and can be a great addition to your minimalist living space. It also comes with an ottoman. 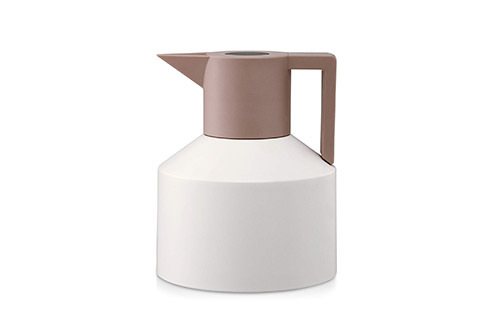 I love the geometries of this vacuum flask by Thermo Pot. 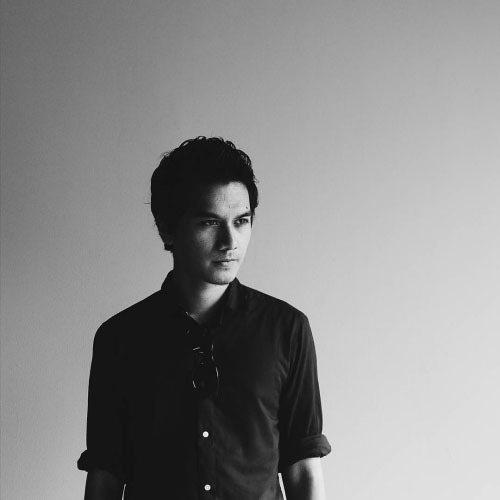 It was designed by Nicholai Wiig Hansen. It has a really unique and minimal design. It also comes in 4 other different color combinations. 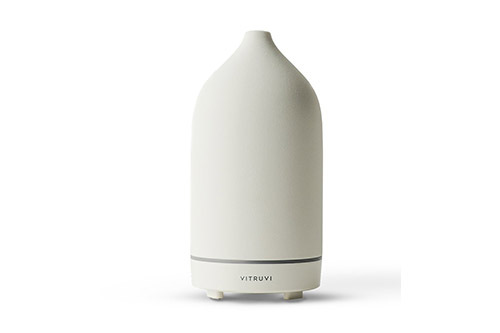 This diffuser by Vitruvi is hand crafted and is designed with high-quality porcelain which gives that upscale and sophisticated look. This diffuser can diffuse essential oils continuously up to 3 hours or 7 hour interval settings. 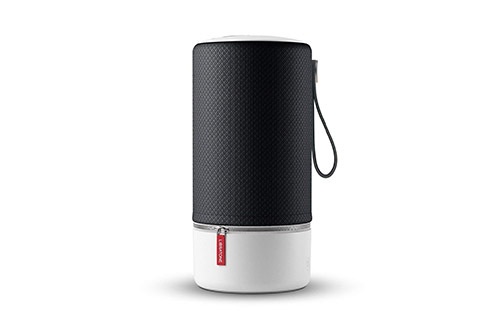 I love portable speakers and this one is a great find. It has a simplistic cylindrical shape which makes it look really sleek and modern. 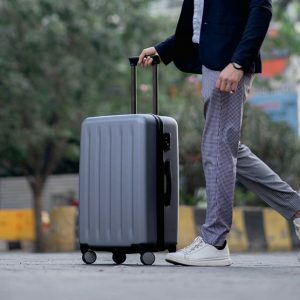 It comes in 5 different color options, all look great in my opinion. It has Wifi and Bluetooth capabilities. 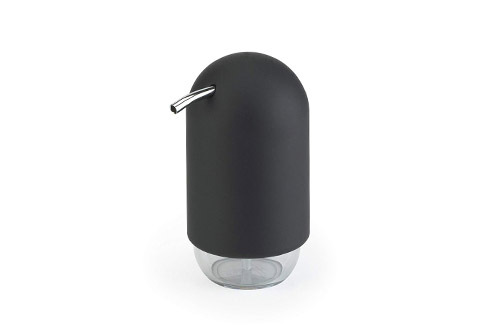 This soap dispenser by has an adorable and minimalist penguin shape. It comes in 5 different color options. I love this matte black finish the most. It looks super clean and elegant. 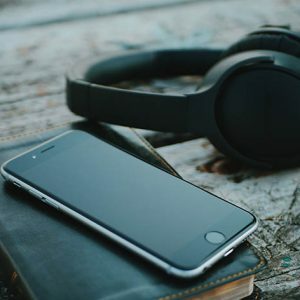 If you love this list, do subscribe to our mailing list for our monthly 25 minimalist things list!